We thank the donors for their kind contributions, encouragement and support! ZRSObit is the basic unit of financial aid aimed at establishing the new Computer Science, Algorithm studies, Programming and Mathematics Center for talented children (CAPIm), and popularizing young talent growth by the Zagreb Computing Association (ZRS). Although the campaign initially focused on Croatian citizens and Croatians - foreign nationals, a donor can be any individual or entity from any region of the world. 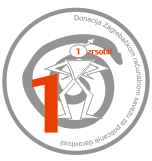 By choosing this tier, you can contribute donation amounts below the value of 1 ZRSObit (ZB 1 = EUR 25). You can choose the amount of EUR 1, 2, 5, 10 or 15. The basic unit of 1 ZRSObit is equivalent to EUR 25. Next available denominations are 5 and 10 ZRSObit, followed by the largest silver coin valued 20 ZRSObit and the most valuable golden coin of 100 ZRSObit (equivalent to EUR 2500). By entering another amount, you will prepare a combination consisting of larger and smaller coins which can be additionally adjusted. After receiving the donation payment, the donor will receive a special thank-you note and the chosen ZRSObit coins in their material form. The Donation Campaign has started in the media in April 2016. The Project has 4 stages. The first stage is announced to start on the 10th November - the World Youth Day. May it serve as a sign of your good will and a long lasting memory! The list of all individual donors - The ZRSObit do-gooders will be available on our website and also displayed in a special place at the new CAPIm talent center, along with the general and other sponsors. Among the first donors is Kristijan Rahimovski, famous Croatian singer and the performer of "Programeri luduju" (Programmers going wild), our song dedicated to talented students. By filling in the required fields in the DONATION FORM your donation decision is accepted and electronically delivered to the Zagreb Computing Association. You as a ZRSObit do-gooder , be it as an individual or organization, will receive an email, consequently claiming a spot in our donors journal - ZRSOBITER'S BOOK. In the attachment you will receive a PDF document of your decision to donate with the chosen donation amount along with the bank account information of the Association as the beneficiary. Share ZRSObit with your friends!